According to 9to5Mac, the unreleased iOS 11 version contains evidence that Apple will market its facial recognition system, thought to handle user authentication, as "Face ID." Prior investigation of leaked HomePod firmware referred to the technology as Pearl ID. The operating system also includes a short video of an animated smiley face rotating around two central axes, which the publication believes might be used as a tutorial for setting up Face ID. An animation like the one described makes sense, considering Apple's recognition solution would need to capture all facets of a user's face, from different angles, to achieve a certain level of accuracy. In addition to Face ID, the code includes mention of a new feature called Portrait Lighting that appears to simulate depth by utilizing different lighting effects. Presumably accessible via the Camera app, the function is thought to be an update to Portrait Mode introduced on the iPhone 7 Plus and includes Contour Light, Natural Light, Stage Light, Stage Light Mono and Studio Light. Related to camera capture capabilities, the iOS 11 GM tips new video recording capabilities, including 1080p at 240 fps 480 MB with 1080p HD at 240 fps, 4K at 24 fps (Footer) 270 MB with 4K at 24 fps (film style) (HEVC Footer) 135 MB with 4K at 24 fps (film style) and 4K at 60 fps (Footer) 450 MB with 4K at 60 fps (higher resolution, smoother) (HEVC Footer) 400 MB with 4K at 60 fps (higher resolution, smoother), the report said. The publication believes Apple's OLED iPhone will boast a True Tone display with a resolution of 1,125 by 2,436 pixels. True Tone technology, which was first introduced with the 9.7-inch iPad Pro in 2016, dynamically alters display color temperatures based on color and brightness information gathered by ambient light sensors. In March, analysts predicted Apple would roll the feature into both "iPhone 7s" and "iPhone 8" models. Surprisingly, an animation included in the firmware reveals what looks to be a new set of AirPods headphones. 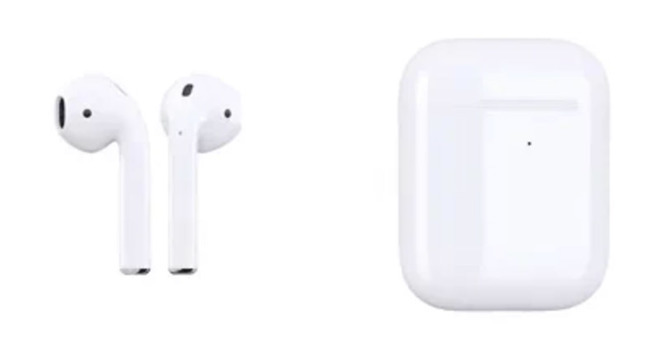 Referenced as "AirPods1,1" and "AirPods1,2," the hardware appears to be a slight modification over existing units, with the only noticeable change being a charging status LED that has been relocated from inside the case to its exterior. The AirPods themselves seem to be unchanged, though the hardware might come with internal improvements or new sensors. The publication also uncovered three-dimensional animated emoji referred to as "Jellyfish." Referred to as "Animoji," the characters are animated based on user facial expressions and can be sent with recorded voice messages. The technology appears to stem from Apple's acquisition of real-time motion capture firm Faceshift in 2015. Finally, images buried in the code reveal "iPhone 8" icons and line drawings similar to those found in the HomePod firmware leak. A separate tutorial graphic of the next-generation phone, complete with status bar cutout, shows users how to make an emergency call by simultaneously pressing the sleep/wake switch and volume up button. Apple is expected to unveil "iPhone 8" alongside updated iPhone 7 series handsets, an LTE Apple Watch and 4K Apple TV at a special event on Tuesday. AppleInsider will be on the scene with live coverage starting at 10 a.m. Pacific.